When an NFL team is coming off their bye week, we never know quite what to expect. Some teams looks rusty from the time off while others click on all cylinders. In the case of the Buffalo Bills it was a little of both. Buffalo was penalized 13 times on the game for a total of 80 yards. Many of those penalties came at costly times. In the second quarter on two consecutive plays penalties cost the Bills first downs on Josh Allen completions. In the second half, a 12 men on the field on a Jags punt allowed Jacksonville to keep the ball. The Bills were lucky in that they won in spite of all these calls but they can’t afford to let play like that continue. 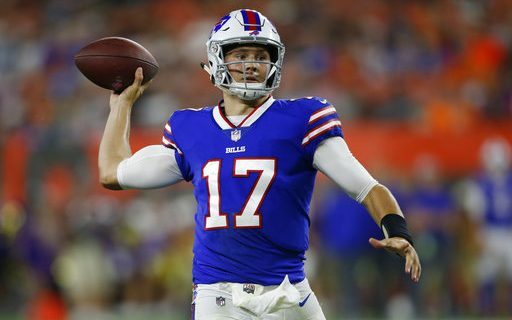 Josh Allen played for the first time in five weeks and for the most part played well. When you look at the stat line, his passing statistics were not that great (8 of 19 for 160 yards and a touchdown) but a couple drops and the penalties wiped out completions that all would have been first downs. Allen’s ability to run the ball and extend plays with his feet was a key part of the Bills win. Josh ran for 99 yards and a touchdown and without those runs the Bills don’t win. Still, coming off a serious arm injury, he has to be careful when he chooses to take off. On the other hand, his toughness has to be an inspiration to his teammates as Allen looks more like a running back than a quarterback when he decides to run. The Bills got some big plays from young receivers (Robert Foster, Isaiah McKenzie) and it is imperative that they, along with Zay Jones, continue to develop. That group is raw, but talented with speed. In the first half, the Bills run defense was not as good as it usually is but they recovered well in the second half. Jacksonville was not nearly as productive running with the ball in the second half. The Bills defensive line was able to consistently get penetration and disrupt which was a key to their strong play. The Bills defense got three sacks and forced two turnovers and when they do that the team should win. While Jacksonville had success running the ball, the Bills held them to just 107 yards in the air. Unless weather conditions are horrible, we seldom see that in the NFL with most teams having strong passing games. Looking at the Bills team as a whole, they are a difficult team to figure out. Their roster is not strong but in many games, they have overachieved and willed themselves to a victory. Such was the case Sunday. While the Bills presently sit at 4 – 7, they could very well end up the year with a 7 – 9 record which is far better than most analysts would have thought. The Bills are at Miami next week and though Miami isn’t playing good football, they have a huge advantage playing in the heat when they are at home. The next week the Bills entertain the Jets and that is a very winnable game. It would be nice if Jets rookie quarterback Sam Darnold is able to play as that would give us a good comparison of Sam and Allen. Three of the Bills December games are at home and that gives the Bills a distinct advantage. On December 16th the Bills entertain Detroit and while the Lions are a northern team, they are also a dome team and having to play in the elements usually has them play poorly. The following week the Bills go to New England and with the Pats in a Playoff fight I can’t see the Bills giving them much trouble. The last game of the 2018 season is at home versus Miami and I might bet the mortgage on the Bills in that game. An average Dolphin team having to play in Buffalo late in December is a gift. If the Bills do finish 7 – 9 they won’t have as high a draft choice as many would have liked, but the team will have confidence to build on. Right now it looks as if the 2019 Draft will be strong but we won’t know for sure until mid-January when we know what underclassmen are in the Draft. 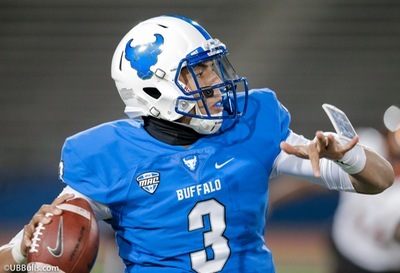 Between the Draft and free agency, the Bills should be able to put a far more competitive team on the field in 2019. Just look at what has happened to Chicago this year after they were in a similar situation as the Bills in last year. In the NFL, quick turn arounds can happen.